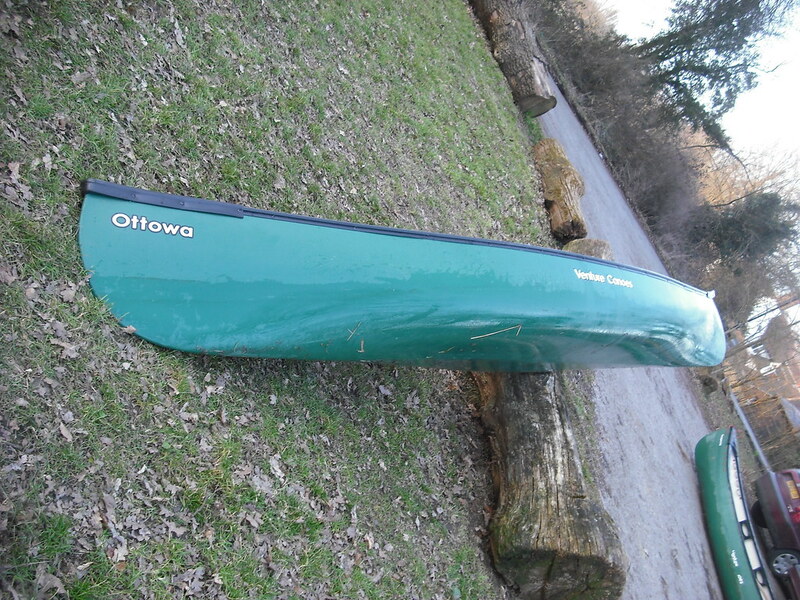 The Ottawa by Venture Canoes is a modern adaptation of a classic design of canoe designed specifically for lighter loads and so makes an ideal solo canoe for use on flat water and gentle moving water. The small size and narrow width of the Ottawa allow a more efficient vertical stroke to be used. Its great initial and secondary stability make it a fine confidence builder for those new to a single blade while the more advanced paddler will get plenty of enjoyment from its effortless maneuverability and ease of handling on and off the water. Last edited by Canoe Guru; 8th-August-2007 at 09:39 PM. Although for the past 15 years I have mainly been a kayaker (sorry! ), I did own a Mobile Adventure Melody for a while which my daughter and I used for day trips and a spot of overnight camping. A couple of years ago I bought a second hand Pack and really began to get interested in open boating. The Pack is well known and has been thoroughly and, in my opinion, accurately reviewed elsewhere on Song of the Paddle. In my case there is one other "against" which is that my daughter has now adopted the Pack as her own so Dad had to get something else! Which brings me to the Venture Canoes Ottowa, which was delivered today and had its maiden voyage this evening. My first impression was that it is a lot longer and thinner than the Pack. In fact I think that it is a bit of an optical illusion.... yes it is longer but probably about the same width, but the lines just look less "dumpy". And so to the water. The Ottowa feels very narrow and the shallow V shaped hull means that initial stability is nowhere near as good as the Pack. The Ottowa seems to flop from one side of the hull to the other, but it certainly didnt seem alarmingly twitchy, just more sensitive than I have been used to. I am sure that with more time in the boat, my balance will attune to the feel of it. As I was paddling on my own I didnt want to push things and expolre the secondary stability. That can wait for another day. It certainly tracks well in a straight line. I was having to do a little bit of a J stroke to keep it on line, but nowhere near as much as the Pack. On the other hand, tight corners or turning round on flat water needed some real effort, unlike the Pack which feels like it spins around on a sixpence. Cruising speed seemed faster than the Pack, with more "glide" between strokes, but until I can get both boats down to the river and do some sort of timed comparison I cant be certain about this. My only real criticism right now is that the seat seems very low (probably a good thing from the point of view of a clumsy novice like myself in a rather more tippy boat than I am used to!) but this did mean that I very quickly lost all feeling in my feet, as I was paddling kneeling. I will have to experiment with different shoes and maybe some padding on the floor under my feet. So generally, a very favourable first impression. The boat looks like it will be tough, and for flat water day paddling should be good, once I can get the seat/feet issue sorted. If you are looking for a no frills small solo boat, put the Ottowa on your list to try out. Brand new, mine cost £575 including delivery by courier. I will post a longer report when I get more time to play with the boat in direct comparison to the Pack. Gaffer tape is like 'The Force'. It has a light side and a dark side, and it holds the universe together. Further to my initial impressions of the Ottowa above, I have now had some time to do a few modifications and to run a tape measure over the boat. To address the problem of my feet being cramped under the seat, I have taken the seat out and replaced it with a kneeling thwart using the same metal brackets that the seat was originally mounted onto. The advantage is that my feet are no longer forced flat under the seat. They can adopt a more comfortable position, helped by a couple of foot blocks cut from some Ethafoam computer packaging which I scrounged from work and which I have Duck taped onto the floor of the boat. Once I am sure that they are in exactly the right place they can be glued more permanently. The results are very significant increase in comfort. First time out, my feet were dead after about 20 minutes. This time, with the modified set-up I paddled for an hour and got straight out afterwards, with virtually no "pins and needles" at all to contend with. The kneeling thwart was just as comfortable as the seat would have been, as I would have only used the front edge of it to perch on anyway, as I always paddle kneeling in small canoes. I am very pleased with the Ottowa and would certainly suggest that anyone looking for a smallish solo boat, but on a budget, should give one a try. Interested in reading your initial review. Due to price and size, this looks like a boat I would like to try. 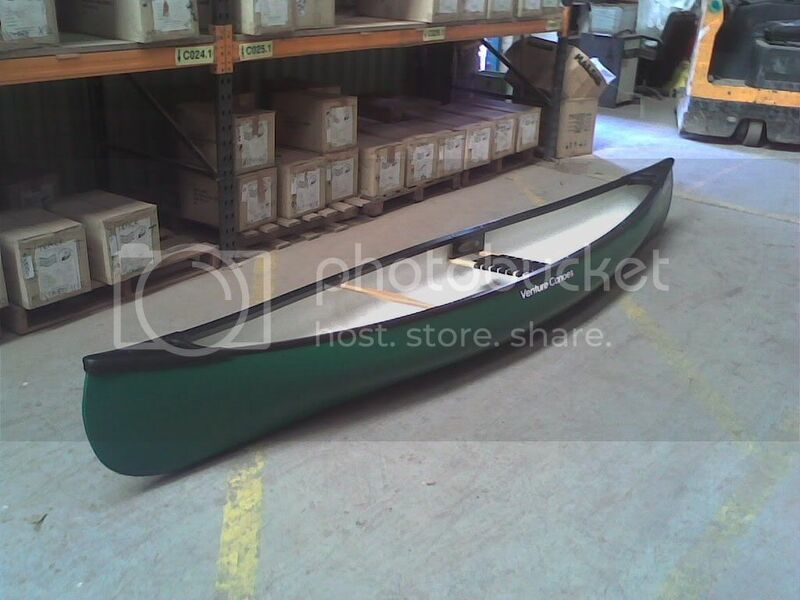 On emailing a local Supplier, they are telling me this is a Junior boat, best suited to someone under 11 stone. At a couple over this, I was wondering whether this is indeed a boat for me. I've just spent all weekend paddling an Ottawa, and so thought I'd throw my tuppence worth in. First off it does seem really tippy, especially if the stern is still just touching the bank, and you do get the feeling that you need to get low pretty quick. Then the seat height is a problem for folk with big feet. I paddle barefoot quite often, so slipping under the seat was fine for me, but even then my feet got a bit sore after a couple of hours. I like the idea of the kneeling thwart mod, that would probably make all the difference, especially in the winter when I don't paddle barefoot! For a small boat this seems really quick, it really likes going in a straight line and was certainly much faster than the pack, this straight line tracking was it's downfall when it comes to spinning the boat on the spot though. The initial reveiw talks about manouverability - I disagree, this thing hates being turned on the spot, and didn't lend itself to being edged right over to help, it certainly didn't give me the impression that it has a great deal of secondary stability. I did get it ferry gliding on a fast moving chute and it did actually feel quite stable, but I don't think I would be fully confident running anything too bubbly in it! I was looking at this boat from a coaching angle and because of the lack of manouverability it wasn't really the boat I would choose, but if you want an easily transportable, lightweight boat that cruises well this could be a bargain! Just for the record I'm about 12 and half stone, and I had got a fair sized kit bag with me. I can see that this boat would make a great junior boat or a boat for the smaller paddler, but it's loads of fun for the bigger paddler when you get used to it. I like the fact that you can just carry it on one shoulder like a kayak! nad as I said in the last post it goes really well in a straight line, effortless almost. You say its 29" from gunwale to gunwale. But the Specs state its 33"?? so are the gunwales the widest point ??? Which is usually where they take the measurement from?? Tippy !!!!! I have a canoe that has the intial stability of a Log, don't worry you get used to it. Thanks to everyone for their comments and questions about the Ottowa. I am about 6 feet 2, about 16 and half stone, with 33 inch legs and size 10 feet so I am probably way oversize for the boat, but it performs well enough and didnt sink on the Wye on a few choppy sections. I dont paddle proper whitewater in an open, so couldnt say what it would perform like in those conditions, but on flat water and a few quicker, shallower, choppier "rapids" it is no bother at all. Seat height is an issue. I have now gone onto the Mark 3 seating configuration: I took out the kneeling thwart and removed the metal seat hanger brackets. I made some spacers from hardwood (about 1 inch deep for the back of the seat. and about 2 inches deep for the front of the seat and have bolted the original seat back in using these spacers directly below the gunwales, to create a "kneeling seat". 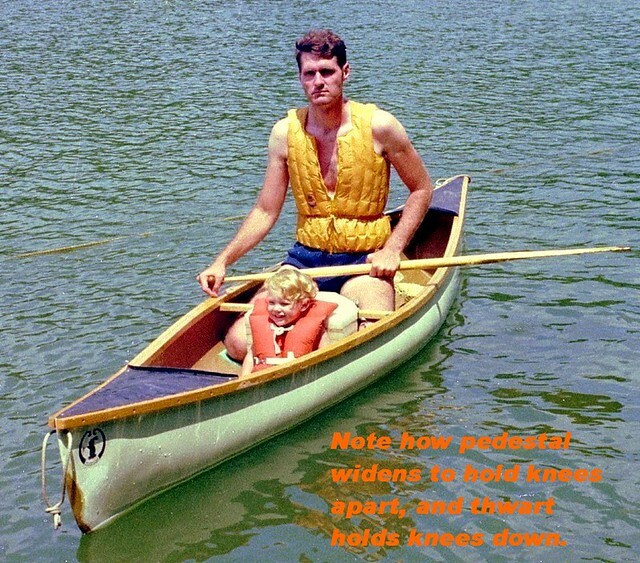 (I always paddle kneeling). I can get my feet under the seat comfortably whilst wearing wet suit shoes and paddled the first test run for the Mark 3 seat a few nights ago for about 90 minutes before getting straight out of the boat with only very slight pins and needles. I was concerned that the slightly higher than standard seat placement would make the boat feel too tippy, but it didnt feel any better or worse than it had before, and my weight being more comfortably supported by the seat, as opposed to a kneeling thwart, was a real bonus. Totally agree with your comments about manouverability, or lack of. As most of my paddling is day touring on flat water this boat works well for me, but a beginner trying to do controlled turns on the spot would give up! The weight and portability is a real bonus with this boat. Have just been out in the garden between showers, running a tape measure over the Ottowa. I cant find anywhere that is wider than 29 inches. Outside gunwale to outside gunwale is 29, and although the boat tapers out a little towards the waterline, inside measurements from one side to the other is 29 inches at most. Hope all the above is helpful but if anyone needs any more info post on here, or e-mail me direct. Yes the seat fitted to Ottowa is ridiculously low but a clever man showed me a trick: take out the cheap and nasty metal seat fitting and reverse them so you can mount the seat above rather than below (it will make sense if you have the boat in front of you!). It gains you about an inch, which plenty for my size nines, and at no cost. I agree with Phil - fast and smooth cruising but a very interesting platform for a curl rescue. Scruff still says it's not a comfy boat. It's amazing how many clever men there are around! Anyone else used the Ottowa 13 since July 07? I am thinking of getting one as a second canoe for playing in. Our kids got one at Christmas but they have only used it once. They liked it but I've not tried it yet. I like the build quality, look and fittings and the weight is great! Will be out in it in the next week or two. As you will have seen elsewhere, I decided on an Ottowa 13 and she had her maiden voyage at Coniston last weekend. Paddling into a head wind and consequent waves was a doddle - I managed to keep up with BIMI with no trouble! Even when practically side on to the waves I never felt as if she was unstable, and infact when playing by the beach it was difficult to tip her enough to get the gunnel into the water! Have you had chance to compare it with the old Minuet? That would be a great comparison as youngsters found that an excellent boat, and it sounds like it was more manouverable than the Ottawa. Anybody else can compare these two? The feedback to Venture would be interesting as I believe they have the mould for the Minuet. We had our kids Minuet alongside my Nieces new Ottawa at Loch Achray a couple of weekends ago. The big difference is that the Ottawa has more freeboard. I paddled it briefly in choppyish conditions and felt quite comfortable, whereas in the Minuet I’m always wary of dipping the gunwale and swamping it. The Ottawa also had a more arched hull cross section, but that may be because our Minuet has become flattened over the years. The stability of both boats seemed similar, but I would be happier leaning the Ottawa. I haven’t paddled either boat much, and conditions at Achray were a bit wild for the kids to properly compare them. The Ottawa seems to be just as suitable for juniors though, and the added freeboard might make it better for doing more adventurous stuff as they get bigger. We should have both boats at Loch Morlich in a couple of weeks time, so I'll try and do a better comparison. Last edited by Paul C; 1st-May-2008 at 10:11 PM. Reason: Didn't check my post properly before submitting! first paddle and it is tippy! took an hour to get a feel for it and it really needs to be trimmed right. it seemed seriously narrow at 28 1/2 inches. it worked ok on early secondary stability this is probably down to the V hull wanting to be on one side or the other and not balancing on its keel. this took a bit of bottle (new boat, thwart in the wrong places etc. back in the garage and it is now 32 inches wide (new thwart centrally fitted) 2 seats fitted (proportionally they seem closer together than on larger boats) the rear seat is in 42 inches from stern and the bow seat is only 14 inches ahead of centre..
Last edited by teespaddler; 21st-June-2008 at 04:44 PM. took it to Ellerton and the new rebuild version seems to offer a lot more secondary stability, it paddles best leaned over a bit and it can be fully flooded by leaning without a capsize. it is still fast and straight tracking and all round a lot of fun. the extra width means i can stand up now without being worried about falling in and the extra curve at the gunwhale (caused by it being wider) means it turns better leaned on the gunwhale. it is still 'tippy when getting in' but this is a small price to pay for the speed and tracking. having taken the canoe to Scotland in the summer and paddled to the summer isles and around the lochs i felt it was time to have a go at a river. plan B was setting and ferrying, with the canoe trimmed correctly it was a doddle to set and reverse ferry into eddys. From Barrasford down through Warden Gorge I had got the hang of things and started to get more from the canoe, It is fast and light enough to paddle upstream and it surfed waves really well, on many waves it needed no paddle strokes and could be controlled by my knees . next i am fitting a kneeling thwart, (it really needs one!) and a sailing mast foot etc. I had the misfortune of paddling one of these to day all day. Conditions were very windy and on flat inland water. Initial stability is poor, secondary stability is non existent and it is very prone to windage. The seats as standard are set to low for me, and I only have size 7 feet. There is no carrying thwart so it is really awkward to carry about. Its good points are its straight running ability, it can't turn for toffee! As a solo boat with all seats taken out and a kneeling thwart fitted, it may be a far better proposition as a flat water cruiser, but as a tandem it is far to small for two adults, OK for two youngsters. I suspect a lot of beginners will look at this boat but once up to a reasonable standard of paddling will out grow it quickly. Clubs buy them to introduce kids particularly, and they are robustly made, but it is really not a boat that is suitable for me with my eclectic variety of uses! I disagree. This is a cracking little boat. I agree the seat is low for some feet, but simply turning the supports round and putting the seat on top of the lower edges of the support - although we haven't done this as my wife's size 2 feet fit under without any problem - will sort this. As for tandem, why should it be required for this, since it's obviously designed for solo paddling!!! I'd agree with this, I have paddled my nieces one a couple of times and turning uses a huge amount of effort. It almost has a negitave rocker. I suspect the thwarts are a little longer than was envisinged for this canoe and has thrown the lines out a little. as a tandem it is far to small for two adults, OK for two youngsters. I'd also agree with this as a canoe for two kids doing flatish water stuff its good. Not bad as a lightweight, easily managable solo for flat water and easy rivers. I personally wouldn't take it down anything mush over grade 1, by the time you get to Grd 2 you either need more manouverability or a little more freeboard. Er Warden Gorge is grade 3 i think. Not reccomended for a novice! as i get more used to it is feels more and more like a sea / touring kayak Hull with a canoe body. This is not an ideal first boat and the fittings as they come out of the factory are virtually useless. but I now really enjoy it. and paddle it out of preference on day trips on anything to Grade 3.
the prospector is in the garage as a load lugger. I'm thinking about getting one of these, and fortunately down at the canoe club, there's one that I've taken out a couple of times along the canal. 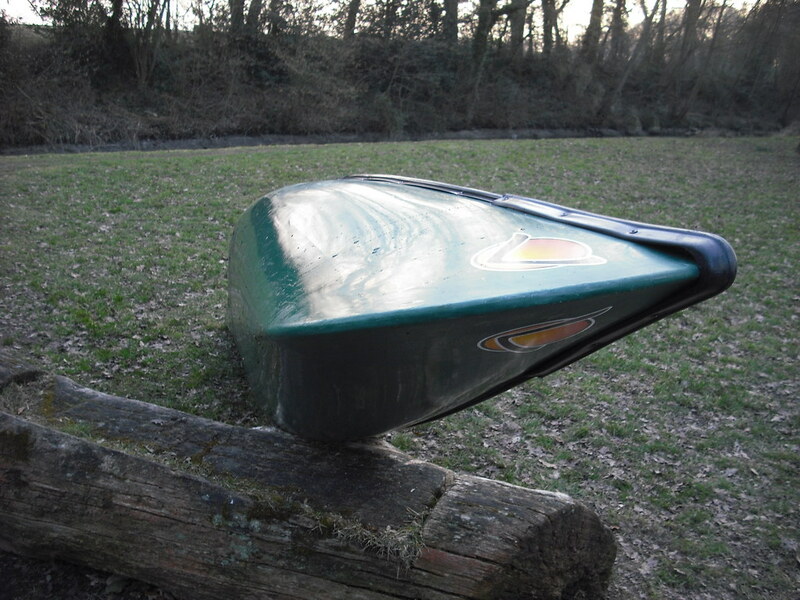 It does feel quite tippy, and in common with many canoes, it's prone to suffer the effects of windage (as I found out on a little lake!). It took me about 30 mins or so to find a comfortable position to paddle it. I've spent no more than an hour or two in one, and it's been good to read the reviews that people have written up here. Is this the sort of boat that you could take out the seats and put in a central foam block to sit on? Would that help at all? Does anyone have any further comments about the Ottowa now they've had more of a go of it? Watch the Hasler Races, Basingstoke 2009 -> . My first outing was on a windy day on a canal. The boat felt very unstable and slow to respond to correction. Having read this forum, I removed the seat and replaced it with a hand crafted kneeling thwart. I then took it out for a good long paddle down an estuary and up a canal. On the unsheltered estuary I found that no J stroke would keep me on track, in spite of reletively light winds. On the sheltered canal (with the wind behind) she positively flew and almost no correction was needed. My third trip was on my local river - a gentle backwater with nothing above a grade one, but some tight turns and a few s bends. The ottowa wallowed and felt little different from my Discovery 174. She is an absolute pig to move. I ended up in the shrubbery and grounded on rocks on numerous occasions. In summary, if you want a flat water boat to paddle on calm days, look no further. I think I'm looking to pass mine on. Has anyone any suggestions as to a boat that I can carry lightweight camping gear, my dog and myself for a few days on easy rivers? Thanks for your reply Pressuredrop, it certainly sounds like you're not having a good time with your Ottowa. I'm wondering if these little boats are really touchy about paddling strokes? When I first got into one, it was all I could do to stop it from 'ferry gliding' across the canal! Then I realised that I wasn't getting the paddle at right angles to the boat during the J-stroke - thereby keeping forward momentum but also sideways movement. I find that I need to use more of a C-stroke to keep it straight, although once it's on track, the J-stroke is fine. Many people have said that it doesn't turn well - unfortunately I don't have the experience of other boats to compare it against (other than a variety of kayaks). To my inexperienced eye, it turns fine - it might need a cross-bow draw / bow rudder to bring it round tightly, but it still does it. I'm undecided about buying one of these - I want something for (solo) canal journeys, grade I-II rivers (River Ardeche, France) and the occasional paddle around natural harbours (Bosham, near Chichester for example)... but do I go for one of these, or a second-hand something else? to turn the ottowa you really need to heel it over on its side. Well I've now been out on my Ottowa quite a bit and have tackled some white water in it, taken it down to the coast, stood up and poled it, carried out rescues in it and generally having a lot of fun. I've added in bow / stern loops through the hull and now I've just added a kneeling thwart to aid manouevrability in WW and to make it a bit more comfortable. It might also mean that I can use it with my daughter too. 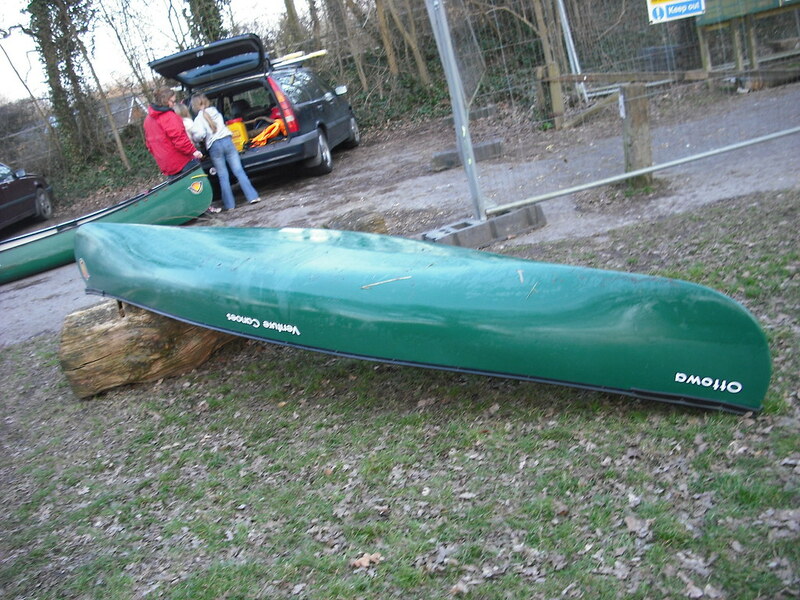 Here are some pictures of Megan's canoe to give an idea of the hull shape. It suits her very well, and the long waterline to overall length means that it tracks well for her. I think that this is a useful attribute to a lightweight paddler who is susceptible to wind. Oddly she finds it easy to turn, although I am sure that she might change her mind as she becomes more subjective. Nikon i think your last photo gives an 'interesting perspective', ( i have a prospector and ottowa so know how they compare). I mentioned the need to get the Ottowa heeled over to turn. and lighter paddlers will feel happier from the start. I m barely 10 stone give or take 3stone (mostly give) so lets call that 12 stone ish, but i would not call myself a beginner, i expected something twitchy. It makes the Prospector feel like a Barge, (ok a stable barge) but still a barge. on rivers It will not turn at speed or with power on moving water. If you drive across the eddyline (spek / kayak style) you will crash into the bank guaranteed. so go in slow, place the bow on an eddy and let the eddyline and flow drive the turn (ie Be delicate). It works best when you really think trad Canoe not Kayak / spec or rockered canoe. reverse ferry. slow the speed, backwater on fast stuff. angle early, Set into eddies rather than turning, kill the speed to use flow. I have even trimmed slightly bow heavy to help this. ferry glide a lot. slow down you need time to think, manouver and plan decents. its small its wet, its fast and it feels wobbly when stationary! I have still not finished experimenting yet, even slight changes make a big difference. I am still scared when I stand up! Last edited by teespaddler; 3rd-April-2010 at 08:58 PM. A lot of water has 'flowed under the bridge', as they say, until I was ready to take on the mighty Warden Gorge. So, with some personal canoeing skills, experience and trust that my canoeing companions were there to exercise thier rescue skills if necessary I felt prepared for some excitement!!!!!! This is how it felt in my new solo canoe 'Ottowa by Venture Canoes'. After a brief inspection of the Gorge we decided to paddle river right and keep the wave on the left to avoid swamping and an unnecessary swim. This worked with the following fundamental elements; posture - having a dynamic sitting position with hips and knees ready to nudge Ottowa down when the waves conspired to test me, which they did! This connectivity enabled me to feel the flow of the water and to engage power transfer via body, boat and blade. Finally with a cheeky little edge and body rotation to cross the eddy at the bottom I had done it! 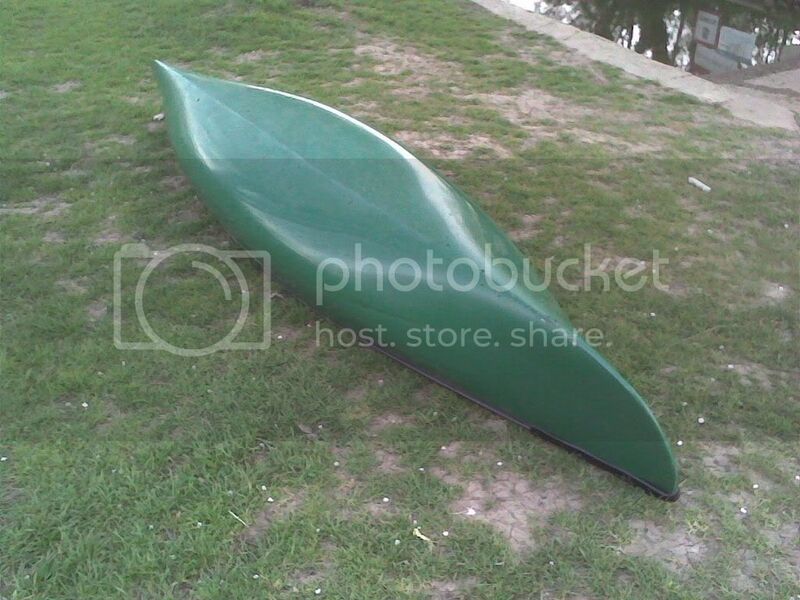 A lot of the posts are clear on the usability of this canoe in a kneeling position. A great deal has been said about the seat being too low because of that. I'm a reasonably heavy and increasingly stiff middle-aged bloke. I find I like to sit when when I paddle! Are there any sitting paddlers out there with an Ottawa who can tell me what its like? 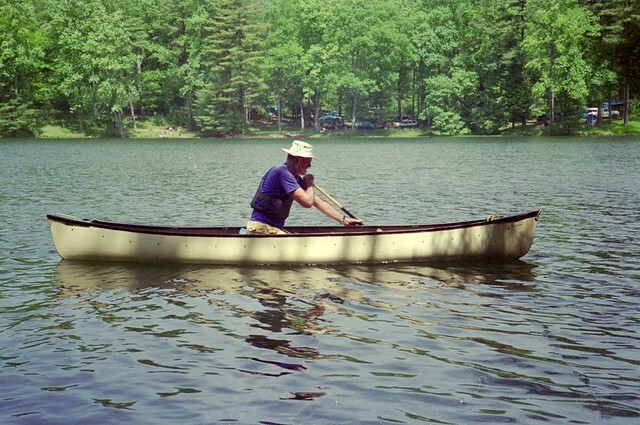 Alternatively is there anyone with an alternative single-person canoe that they feel is better. At the moment I'm torn between an Old Town Pack and the Ottowa. I am used to a 17' Aluminium Grumann. A real, beautiful, battleship but I am fancying a solo canoe. It must be a mid-life crisis! The Ottowa is no longer available new. It is very different to a Pack. Packs are generally not held in very high regard, and most people who can paddle dislike them. They are made for the American market and even sold in a format where they are intended to be paddled with a set of kayak blades. the Pack is a very dull boat, unlike the Ottowa which is very lively. There are lots of boats out there to consider. The Pack is Royalex but the Ottowa is Corelite so different materials. Thanks for this. And the thought behind it. I'm a very recreational paddler. Canals, slow rivers, lakes etc. Nothing too adventurous. May I suggest we move the discussion to the general forum? Perhaps a Mod can help us out? "Suitable Solo boats for Placid Water"
Some great boats out there though I have not paddled an Apache yet. There are still quite a few criteria for you to expand on, but I get the feeling you want a lightweight boat rather than a short boat. Am I right? Lakes and Canals the Pack would be awful. Very slow. Again, I feel the Ottowa would also not be the right boat, but you might like it. Some people will scoff, but have you considered a MR Explorer 15? It is shorter than 15ft and around 28KGs (Lighter if you take the seats out and replace with one central seat). The Shallow V is a very versatile hull shape. If the length is not too much of an issue, would you consider the Reflection 15? I love mine for cruising gently. Last edited by wilf; 18th-May-2011 at 04:57 PM. Please do move this. I don't think I have the permissions to do so myself. I'm a very new member!! "Suitable solo boats for placid water" might be an interesting thread, but my experience on several forums is that people use these pocket solo boats wherever they can get away with it. My first solo boat was similar to the Ottawa in that it was 13' long, 30" wide, even more markedly V-bottomed, and with my then 200 pounds, sat deep with its ends in the water. The Mad River Compatriot, not made since about 1980. It was not easy to turn, and had to be managed differently getting into and out of eddies. I used it on up to and including class 1-2 rivers in the SE US, and did so because it was more comfortable than my decked c-1 on a long day. At my weight, I could have used more boat. Later, I bought a good used Mad River Guide Solo, 14' 6" long, 30" wide, deeper, but with a much shallower V hull and more rocker. It is faster than the Compatriot, but spins, ferries, and manages eddies much better. Though still not a tandem boat, it carries much more weight than the Compatriot. I know many are delighted with their Packs, their Apache 12s, and their Ottawas, but I suggest that for normal sized people, a little more boat will do much more on the water. Look for at least 14' and 30" of width. Incidentally, the 850 pound weight capacity claimed by the Ottawa's makers is just hilarious. I'd say maybe 400, if that. I sometimes paddle one of these rather than struggling to get the prospector out if I’m only having a short paddle but I’d agree with much of the above. I find it fairly tippy, though I’ve definitely paddles much less stable canoes than this, and quite uncomfortable thanks to the very low seat, I suspect a lot of this is thanks to my height though. Despite being a short boat, I find it a lot less manoverable than a 17ft prospector but it’s great for straight line paddling as it doesn’t catch the wind too much. Probably wouldn’t buy one personally but if you get on with it then they are good fun. My lad picked up an Ottawa, we've filled it with airbags and it's roll-able, almost OC1. So what will you be doing tomorrow? Paddling erm...and...erm, paddling some more.